This weekend the clearance rate holds steady as the auction numbers doubled. There were 846 auctions in Melbourne, with 681 selling and 186 being passed in, 79 of those on a vendor bid. In addition to the auctions, there were also an additional 308 private sales. The result, was a solid 79% clearance rate. 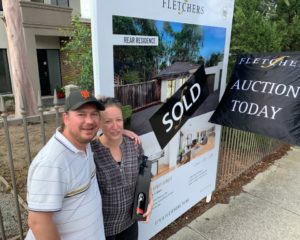 Stock levels may have doubled this weekend, bringing more choice for buyers, but there is still opportunity for buyers to grab property before auction. Some suburbs are experiencing a surge in off-market sales, due to red-hot demand. 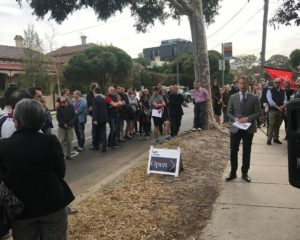 This month there is an expected 3,100 home going under the hammer in Melbourne, which is an increase of three per cent on February last year. 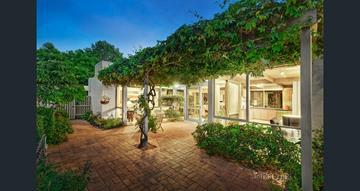 A four-bedroom family home with a quiet, leafy outlook and three living areas attracted three bidders to the auction. The pre-auction price guide was $820,000 to $900,000 and one bidder dropped out in the high $800,000’s leaving two other contenders to continue pushing the price up. A local family, looking to upsize, paid $100,0000 above the reserve. This well maintained and renovated three-bedroom clinker brick home, in a premium beachside locale, attracted interest from downsizers and young families. With four bidders vying for the keys, the price quickly sailed past the reserve of $1.5 million. The last bidder to enter the auction walked away with the keys for $1.661 million. Designed by Fasham Johnson which often prove to be popular with buyers due to their unique architecture, the auction started slowly with the auctioneer getting things underways with a vendor bid of $1.5m. Three bidders contested with lady determined to win the keys. The property was announced on the market at $1.65m and sold for $1.721m. $71,000 over reserve. Next Post Melbourne’s first Super Saturday delivers super results.